Peter Colman was one of the key scientists involved in determining the structure of influenza virus neuraminidase. This medical breakthrough led to the development of Relenza®, a drug that is effective against all known strains of the influenza virus. Peter Malcolm Colman was born in Adelaide in 1944. On completion of his secondary schooling at Unley High School he studied Physics at Adelaide University, being awarded the Philips prize for Honours Physics in 1965, and completing his PhD in 1969. From 1969 to 1972, he was a Post Doctoral Fellow at the University of Oregon with Professor Brian Matthews , where, together with Hans Jansonius, they determined the structure of the heat stable enzyme thermolysin. From 1972 to 1975 he was a Post Doctoral Fellow at the Max Planck Institute, Munich with Professor Robert Huber who subsequently was awarded the Nobel Prize for Chemistry in 1988. In Munich Colman determined the first structure of an intact antibody molecule and, together with Hans Deisenhofer, also later a Nobel Laureate, the antibody Fc fragment. 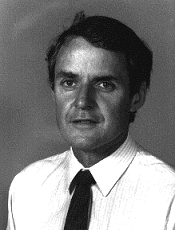 In 1975, Peter Colman was awarded a Queen Elizabeth II Fellowship to conduct research in the laboratory of Professor Hans Freeman at the University of Sydney. There he continued work on antibody fragments whilst collaborating with Mitchell Guss, John Ramshaw and others on the structure of the blue copper-containing redox protein plastocyanin. Shortly before leaving Sydney, work began on crystals of influenza virus neuraminidase (produced by Dr Graeme Laver at the Australian National University’s John Curtin School of Medical Research). In 1978, he joined CSIRO’s Division of Protein Chemistry in Parkville to form a crystallography group with emphasis on the structure of globular proteins. The neuraminidase problem became his major interest when he moved to the Parkville laboratory where there already was a major influenza virus program being run by Colin Ward. In 1989, Dr Colman was appointed Foundation Chief of the CSIRO Division of Biomolecular Engineering, and in 1990 Foundation Director of the Biomedical Research Institute, which was co-located with the Division in Parkville. He remained Chief of Division of Biomolecular Engineering until 1997 when he resigned to concentrate on the Biomolecular Research Institute. He was a Founding Member of the Board of Directors of Biota Holdongs Ltd from 1985 to 1991 and was a Founding Member of the Board of Directors of Starpharma Ltd serving on the Starpharma Board for more than ten years as both a Director and a member of its Research Committee. He resigned from the Starpharma Board in 2008. In 2001, Dr Colman moved to the Walter and Eliza Hall Institute of Medical Research in Parkville to establish and lead the Structural Biology Division. There his research interest has been on the structural biology of proteins in the BCL-2 family and methods for antagonising their function. the determination of the 3D structures of two N2 neuraminidase molecules of human influenza Type A viruses isolated ten years apart (1957 and 1967) employing novel mathematical techniques of combining the data of two crystal systems with different strains of the virus. The work carried out with Jose Varghese was published in back-to-back articles in the 11 May 1983 issue of the prestigious journal Nature with a hand drawing by Varghese of the neuraminidase molecule on the front cover. Interpretation of the structure at that time was greatly aided by the amino acid sequence of the neuraminidase emerging from the work of Colin Ward and colleagues. the determination of the structural basis for drug resistance in influenza virus neuraminidase and the prediction of the emergence of drug resistance strains, particularly to Tamiflu®, which recently has been verified. In a related activity, Peter Colman and CSIRO colleagues Jose Varghese and Peter Tulloch and their international collaborators published in Nature in 1987 the first structure of a viral antigen / antibody complex and again made the cover. In this landmark paper they proposed the ‘hand-shake’ model of antibody-antigen interaction. Other protein crystallography projects included the determination of the structure of phaseolin, the first of several seed storage proteins that were solved (with Mike Lawrence, Jose Varghese, Eikichi Suzuki and Peter Tulloch) and the development of a metric Sc to quantify the geometric fit of two protein surfaces (with Mike Lawrence). This measure of shape complementarity of protein-protein interfaces has since proved enormously successful. The paper has been cited over 410 times and has been used by others to assist for example: understanding the interaction between the T-cell receptor and the MHC/antigen complex [Garcia et al., 1998, Science, 279: 1166-1172] and understanding the intimate packing within amyloid fibres [Nelson et al., 2005, Nature, 435: 773-778]. By 2008, Peter Colman was a named inventor on five patents and had published a total of 134 publications including: 21 review articles, 21 conference proceedings and 92 original papers. 1996 Australia Prize for excellence in pharmaceutical design – along with Dr Graeme Laver (ANU) and Professor Mark von Itzstein (Victoria College of Pharmacy, Monash University). The prize was shared with Professor Paul Janssen, founder of Janssen Pharmaceutica, N.V. In 1993, Time Australia ran the story ‘Through with Flu’ with Peter Colman and Mark von Itzstein (Victorian College of Pharmacy) featured on the cover. In the 17 November 1999 issue of the London Sunday Times, Peter Colman and Graeme Laver were ranked 56th in a list of The Most Powerful People in Britain and 3rd in the Medicine list. Colman PM, 2008, Personal communication. Rivett DE, Ward CW, Belkin LM, Ramshaw JAM, Wilshire JFK, 1996, ‘The Lennox Legacy – A History of the CSIRO Laboratory at 343 Royal Parade Parkville’, CSIRO Publishing, Melbourne, Australia, pp370.